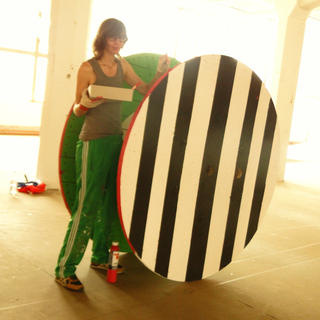 Tina Zimmermann is a freelance artist living in Berlin, working in the fields of media art, live visuals, installation and sculpture. 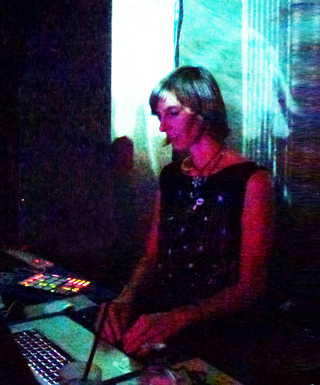 Her distinct style termed "organic media art" is applied in such diverse projects and environments as art exhibits, permanent and temporary video mapping installations for spas, hotels and corporate events, stage design for opera and theatre productions, as well as live VJ performances for techno clubs and festivals. For many years she hunts and gathers images and artefacts from the natural and cultural realms in order to recontextualizes them into multi-dimensional- sometimes soothing, sometimes disturbing - but always poetic and sublime artistic compositions. She studied Industrial Design at Art Center College of Design in Switzerland and Pasadena/Los Angeles, then worked as product designer in a design consultancy and art director of an independent record label in San Francisco before obtaining a Master of Arts degree in Interdisciplinary Art at San Francisco State University. She is working as an independent artist since 2001. She has produced installations and live visuals for historic locations like the Bode Museum Berlin (German National Sculpture Museum) and Berliner Dom (Berlin Cathedral) or the Palace of Culture in Iasi Romania, for corporate clients like ADAC, Beiersdorf, Dormero Hotels and Boston Consulting Group as well as for avantgarde culture venues like Fusion Festival, Platoon.org and Burning Man Festival among others. Berlin : Platoon, Fusion Festival, Voov Experience, Maria am Ufer, Spindler+Klatt, Love Parade, Tempodrom, Tacheles, ADC , about:blank etc.